(FORT BENNING, Ga.) – Family members of 3rd Squadron, 1st Security Force Assistance Brigade, Command Sgt. 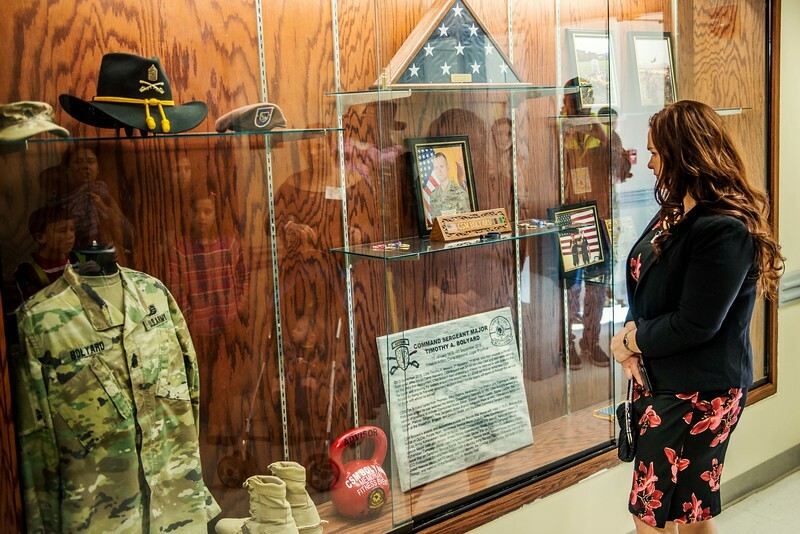 Maj. Timothy A. Bolyard and fellow Soldiers and civilians attend the Hall of Heroes photo mounting ceremony and building dedication in honor of Bolyard, Feb. 08, 2019 at Fort Benning, Georgia. Bolyard was killed Sept. 3, 2018 while deployed to Afghanistan.